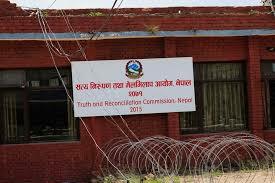 TRC, CIEDP term extended by a year - Integration Through Media ....! KATHMANDU: The term of the two commissions—Truth and Reconciliation Commission (TRC) and Commission on Inquiry of the Enforced Disappeared Persons (CIEDP)- has been extended by a year. The tenure of the two commissions was extended by a year after President Bidya Devi Bhandari certified the Bill-2075 on amendment of TRC and CIEDP Act-2071. The term of both commissions end on February 10. Both commissions were formed on February 10, 2015 for two years. This is the third time the term of both commissions was extended. The ordinance issued on January 19 had provisioned that the government could extend the tenure of the TRC and the CIEDP by one year if the two mechanisms requested for a term extension stating valid reasons for their failure to complete their jobs in the stipulated time. The government will appoint new office-bearers after April in view of the conflict victims’ criticism over office-bearers of both commissions for failing to carry out works in an effective manner. Meanwhile, Chairperson of TRC, Surya Kiran Gurung, and member Leela Udasi Khanal, on February 7 tendered their resignation to be effective from February 10.